Kindness is not dead, it’s just not very organised. 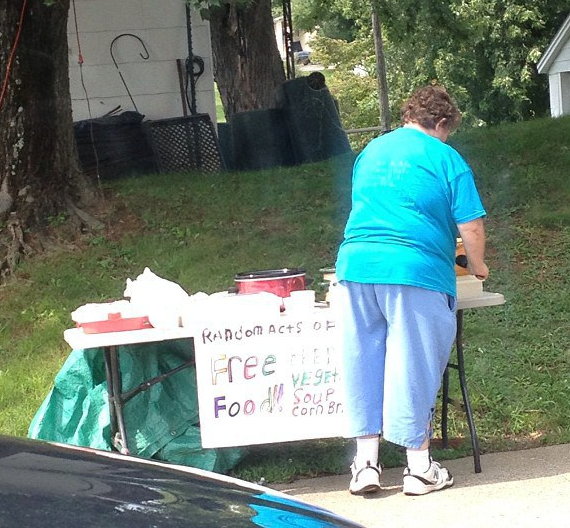 A few people in a neighbourhood can get together and perhaps take turns at supplying a little food to the homeless in their area.maybe find a food shop that will donate their near dated bread or meats for sandwiches.This lady is wonderful but I’m sure others would want to help too. Very true. Huge hugs back, David. Such heartfelt kindness. Love in action! compassion and generosity – what a powerful combination! So true – it can change the world.